The forced disappearance of the 43 normalistas last September in Iguala, Guerrero has been described as the tip of the iceberg of a complex violence phenomenon that has been taking place in Mexico since the so-called “war on drugs”, launched by the federal government in 2006. It showed the extent to which the infiltration of the drug cartels has penetrated different spheres of public life in Mexico. It has also brought into light the impunity and abuse of authority of members of the armed forces, causing a humanitarian crisis in the country, which in many ways parallels the Dirty War in the 1960s: at least 26,000 disappearances since 2007 and more than 121,000 homicides between 2007 and 2013, most of the cases remaining un-investigated, increasing clandestine mass graves, beheadings, kidnappings, censorship, repression and torture. In this Discussion Group we aim to engage in an informal non-academic dialogue with researchers working in conflict, and with the IDS academic community in general, in order to understand better some of the particularities and consequences of the violence and conflict in Mexico, such as the high violations of human rights, the structural corruption that underpins the governance context, the normalisation of violence in the Mexican society and the emergence of vigilantes or self-defence groups in certain regions of the country. “Corruption and Violence in Mexico”, Juan García, PhD Candidate, Department of Politics, University of Sussex. 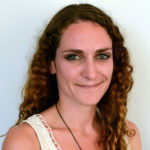 “The Normalisation of Violence in Mexico: the Narco-state, Vigilantes and the Ayotzinapa Case”, Diana Ibañez Tirado, Associate Researcher and Associate Tutor at the School of Global Studies, University of Sussex, and a Teaching Fellow and Research Associate at SOAS, University of London.